We are particularly excited to showcase a home which is truly elegant and exquisite in detail. Millvale Homes and renowned local builder Carl Van der Meer have created something special here; this is a brand new timeless home. Built to exacting standards this home has all the mod-cons. The entrance sets the scene, designed as a breezeway between the living zones and the wing to the bedrooms, this space will be a great multi-purpose relaxation space or study. In the living wing the high-end kitchen dazzles, entertaining will be a breeze here, with granite worktops, two side by side ovens and a hard-working scullery which will ensure you leave everything spotless for your guests. The lounge is light filled and elegant with a stunning floor to ceiling window to capture the outlook and sun; additionally, the home will be warm throughout with temperature controlled ducted central heating. There are three bedrooms in the bedroom wing, all generous in size and with built in storage. The master is truly luxurious with access to outdoor living an extensive walk in robe. The opulent ensuite features marble tiling, a bath and shower with dual rains shower heads. The family bathroom will also impress. What sets this property above the rest, are not one, but two outdoor living areas both connecting to the kitchen. Your options for privacy, sun and space are endless at this exceptional home. 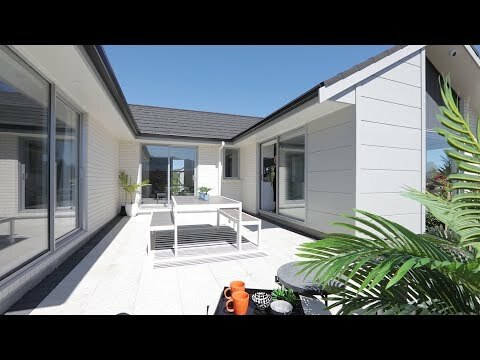 Situated in the garden area of popular Waikanae, you will be in close proximity to the golf course, beach, walkways and cycleways, rail connections, and shops. This home offers a quality to match the most discerning of buyers and could be yours today - make sure you get in touch soon. 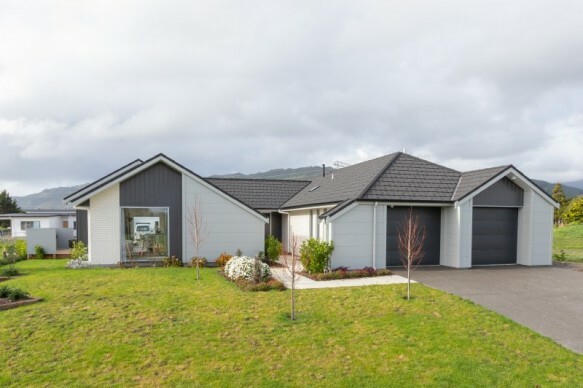 *SOURCE: FLOOR AREA Vendor (non-verified), Land Area: PropertyGuru, RV: QV, RATES: Kapiti Coast District Council (KCDC). 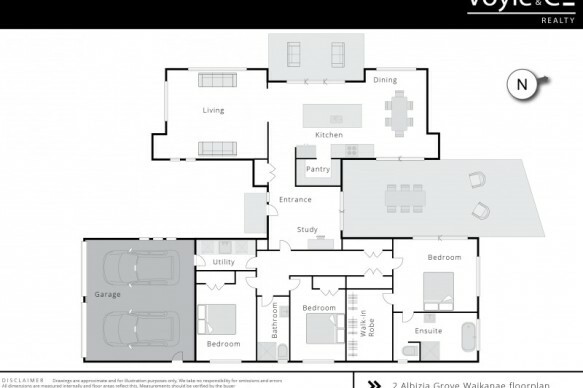 FLOORPLAN: (indicative only).